Enterprise Resource Planning (ERP) is one of the most sophisticated and complex tools you can choose for your business. A significant amount of resources, time and manpower go into implementing the comprehensive tool within your infrastructure. It is natural to expect great things and benefits from it once the implementation is done. However, sometimes you notice the painful reality that your ERP is performing at a suboptimal level. Sign: You invested a lot of time, efforts and money into implementing the ERP system, yet there are no visible signs of improvement over the previous one. 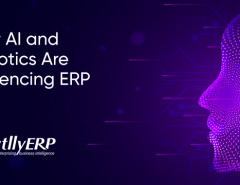 Reason: A very common issue, it happens when companies simply hop on the trend (in this case, getting an ERP system) without giving proper thought to it. 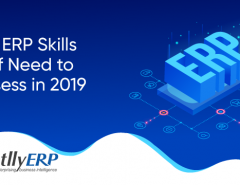 Since there are no brainstorming sessions before the implementation, companies are clueless how the features of ERP would work with the existing system and/or improve upon it. Another possible reason is the rigid legacy system. 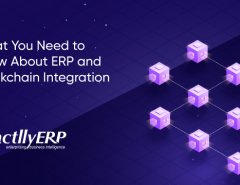 Since no thoughts were given into the integration of the existing system with the new ERP tool, the result is a mess that works quite independent of your expectations. Sign: Users are unable to understand how the ERP tool works, leading to delays. Features that were promised seem a lot more complex than they appeared. Reason: The reason is another key aspect of ERP implementation that went neglected – employee training. 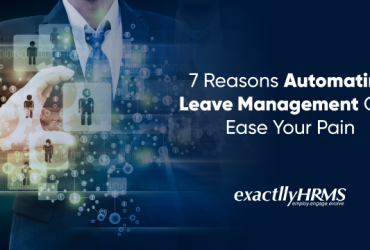 Even though there might be a certain group of super users available during the implementation phase, a majority of employees who would later work on the tool remained ignorant about it. This led to two problems. First, the employees were unable to understand the importance of ERP and how it would impact the organization. They remained resistant to the new tool and thus, didn't give their full efforts into adapting to it. Second, no proper training was provided to them. Thus, even though the super users might explain the overview and basic functioning, the finer details remained missing. So, it hinders their ability to grasp how the tool actually works. In both cases, it proves that your ERP is performing at a suboptimal level. Sign: Lack of data integrity and frequent issues of inconsistent or redundant data. Data-related features promised by ERP are missing after implementation. Reason: It is a fact that data is the fuel that runs ERP tools. However, data management is often neglected during ERP implementation, a problem more common than others. Two primary issues arise due to this. First, data migration poses a problem as the old data may not be compatible with the new system and its requirement. Second, data issues that existed in the previous system are simply carried forward to the new one, sometimes without detection. Sign: Upgrades are notified, but never considered. Alternatively, no notification of upgrades is made. Reason: It is not as much a symptom as the cause of the problem itself. Every credible ERP vendor keeps rolling out new updates for the tool, simply because they are vital. Apart from the new features, there is a removal of bug, resource optimization, better interface and dozens of other factors. However, when you refuse to update the ERP tool, problems tend to arise. It is almost always a good idea to upgrade to the latest version. For instance, there might be a bug that was affecting your system but was removed in the new update or better resource utilization that tax your system less. Sign: Poor support from the support team, with little or no guidance. Users have to deal with most of the issues on their own. Reason: A large reason behind this is the mismatch between user's expectations from the support staff and the actual support that the support staff provides. The support team operates on the side of the vendor and is concerned strictly with issues related to the software, which include malfunction, anomaly or security concerns. However, many times users expect the support staff to work as their mentors and trainers, which honestly, is not what the support staff is meant to do. However, users do not understand this and instead start to resent the support team and the tool by extension. Sign: Frequent technical issues keep popping up and a lot of time is gone in software maintenance. Reason: The primary reason behind this is the poor ERP implementation. If no plans were made regarding integration and upgrade, it is likely that the tool would keep facing technical issues. There is always a technical team to deal with such issues, but they would not solve anything if the problems keep popping up due to underlying reasons. Many other times, the issues arise because users are not adequately trained about the tool and commit mistakes that lead to fatal errors. Both infrastructural and software-related problems need to be tackled from the core. Sign: The total administrative cost has increased ever since you implemented the ERP tool, even though there is no significant improvement in the efficiency. Reason: There could be a variety of reasons behind this, including the ones we discussed here why your ERP is performing at a suboptimal level. Cost escalation is the ultimate symptom when things aren't going the way they should be. The increase in administrative cost could be caused due to frequent maintenance cost, while the lack of efficiency is due to the sub-optimal performance. Once you start cracking down the reasons why your ERP tool might be performing below expectations, the cost factor would most probably go down. 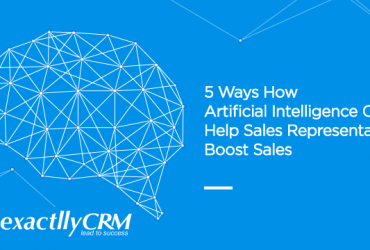 Since you have invested a lot in implementing the ERP tool in your business, it is prudent to look for the signs when the results are not what you desired, and search for immediate solutions. If you suspect your ERP is performing at a suboptimal level, take steps to change that. In the long run, this prudence will pay off magnificently.